Police have released an image of a man they would like to speak to following a burglary in Illingworth. 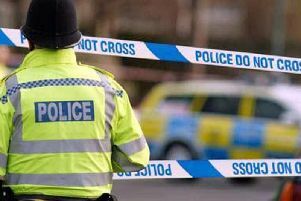 It happened at about 4.50am on October 14 in Occupation Lane, when a blue Vauxhall Astra and a grey Audi A7 saloon were stolen. The man police would like to speak to is described as white, of large build and believed to be in his thirties or forties. It’s thought he was wearing a striped top. Anyone with any information is asked to contact DC 178 Little at Calderdale CID on 101, quoting crime reference 13160491293 or call the independent charity Crimestoppers on 0800 555111.